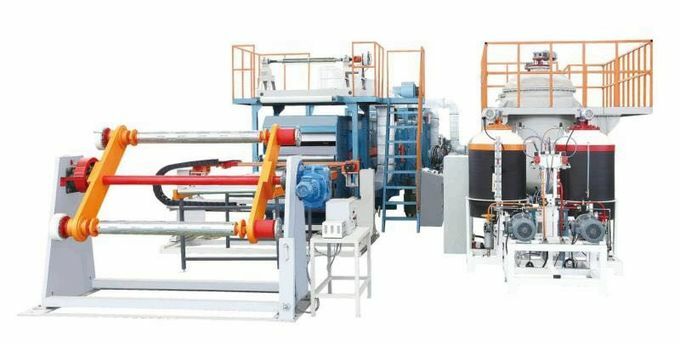 This production line is a kind of specialized equipment for producing laminated panels with the middle layer of anti-combustion polyurethane or polyisocyanurate or phenolic polyfoam and with embossed aluminum foil as the top and bottom face layers. The laminated panel is between 20 and 30 mm in thickness, 1200mm in width, length determined by the customer. The panel is mainly used for making the ventilation duct for central air-conditioners. 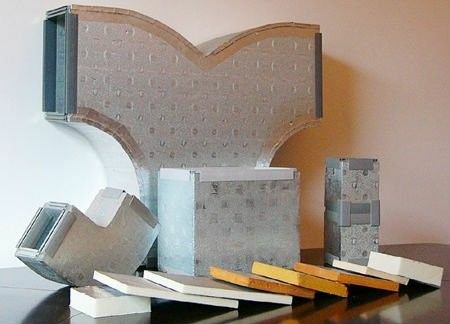 Different insulating panels with other soft facing layers could also be produced on the line. Maximum embossing speed 15 m/min max. 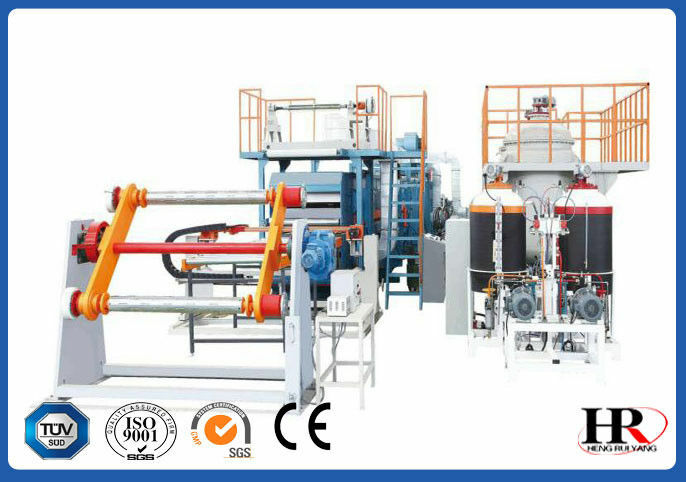 Raw materials of rigid-foam liquids are delivered into the mixing head through the metering pump on the injection machine and then injected onto the bottom facing sheet going to conveyors along with the top superficial sheet. Between the upper and lower conveyors, the liquid materials are hardened into shape, after which the laminated panel is edge-trimmed and, by an automatic tracking cutter, cut into segments according to the preset length.